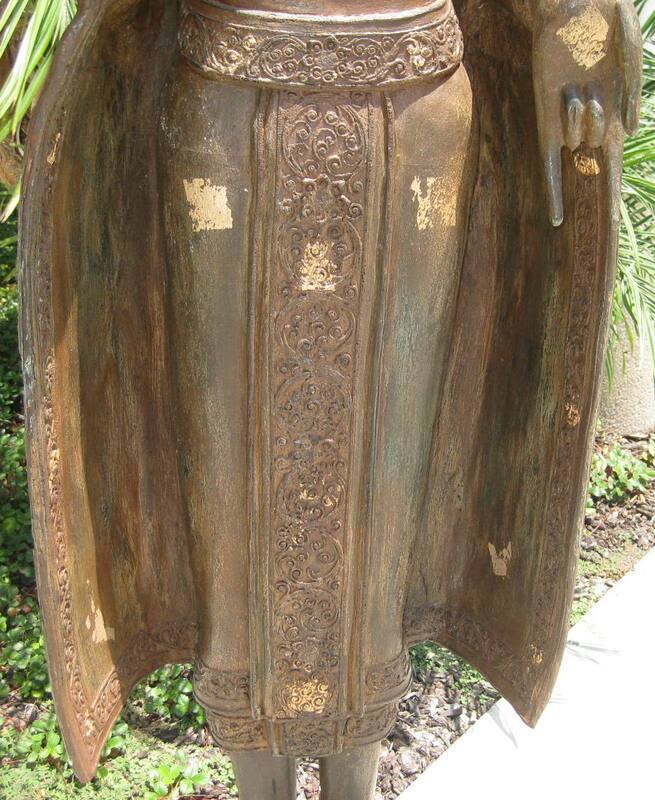 Khmer Style Standing Buddha in gold leaf antique finish. 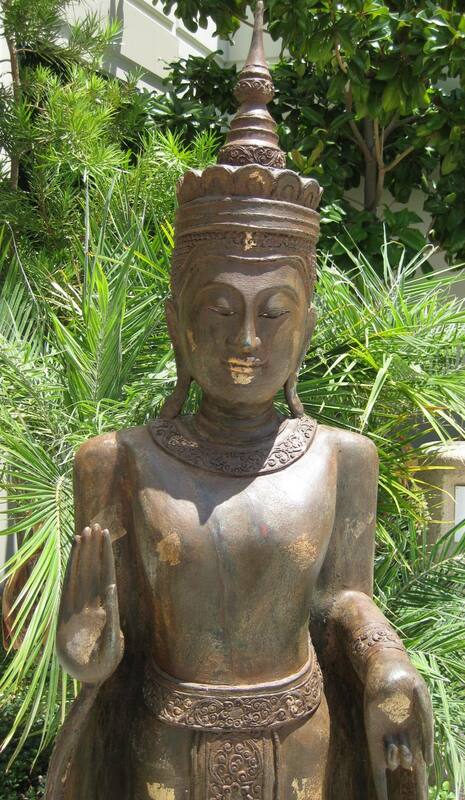 Intricately hand carved in Thailand from acacia (monkey) wood in antique finish. Other finishes available, please inquire within. Buddha measures 17" wide, 75" high (from base) and 13" deep. Base measures 13" x 13" x 5"
Weighs approximately 35 lbs. Color and weight variation due to the nature of the wood. Please scroll down to see all the details.